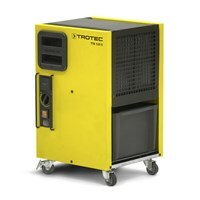 100% Trotec - development, design, manufacture: The TTK 105 S Dehumidifier (max. 30 l/24h). The robust TTK 125 S convinces with his dehumidification performance of max 32 litres / 24 h! Quality Made by Trotec: not made in China. TTK 140 S: max. 40 litres dehumidification performance. 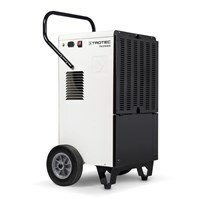 The TTK 165 ECO dehumidifier with a maximum dehumidification performance of 52 liters per day. 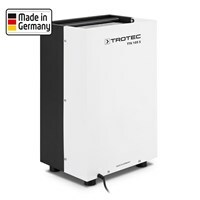 The dehumidifier TTK 166 ECO with a maximum dehumidification capacity of 52 liters per day. 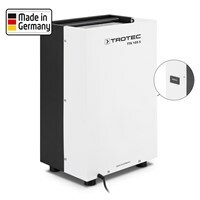 Quality Made by Trotec: not made in China. TTK 170 S: max. 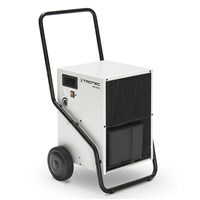 50 litres dehumidification performance. 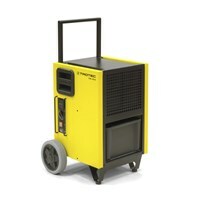 TTK 175 S with a dehumidification performance of max 50 litres / 24 h! Quality Made by Trotec: not made in China. TTK 350 S: max. 70 litres dehumidification performance. 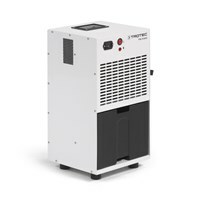 The powerful TTK 355 S convinces with his dehumidification performance of max 70 litres / 24 h! The dehumidifier TTK 380 ECO with a maximum dehumidification capacity of 80 liters per day. 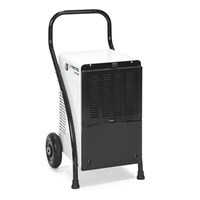 The dehumidifier TTK 570 ECO with a maximum dehumidification capacity of 127 liters per day. Quality Made by Trotec: not made in China. TTK 650 S: max. 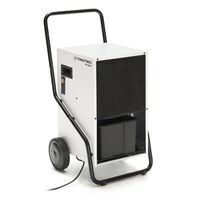 150litres dehumidification performance. 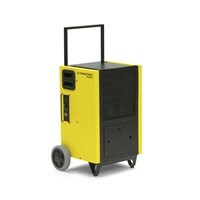 TTK 655 S with dehumidification performance of max 150 litres / 24 h! 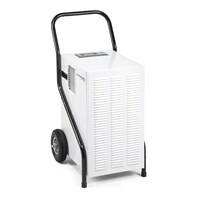 We know that buying a dehumidifier is an act of trust. Which is why we always strive to give a little bit more. long-term storage of spare parts and a fair amount of goodwill on our part: We make sure that you are happy with your dehumidifier for a looooong time! years of experience: When it comes to dehumidification, construction drying and restoration after water damage, we sure know what we are doing! 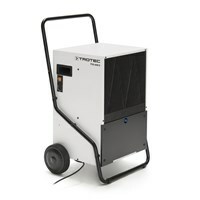 This is why, when you buy a Trotec dehumidifier, you get more than just a dehumidifier. You get a brand quality product with high quality service. 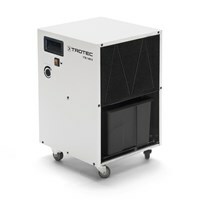 All of our dehumidifiers help to achieve a healthy indoor climate – a relief for any allergy sufferer! 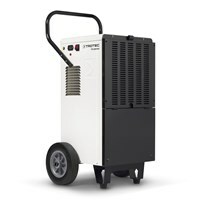 Whether it is for you home, the workplace, for storage rooms, archives or even for your boat, the basement or a holiday home: Among the dehumidifiers of the TTK S series, you’ll find just the right model for you. And that’s a promise.